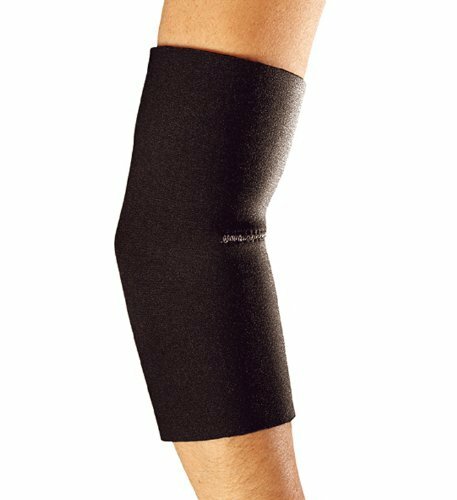 Procare Tennis Elbow Support - Large - Combines soothing warmth of neoprene elbow sleeve with a counterforce strap that restricts full extension of muscles and tendons. Contact closure strap with D-ring provides exact fit and adjustment. Ideal for Medial epicondylitis (Golfer's elbow) and Lateral epicondylitis (Tennis elbow). 8" length. Combines soothing warmth of neoprene elbow sleeve with a counterforce strap that restricts full extension of muscles and tendons. 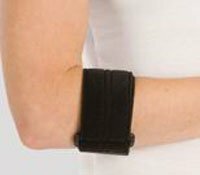 The ProCare Tennis Elbow w/FLOAM ™ has a comfortable neoprene band that features a FLOAM bladder. Combines neoprene band with FLOAM bladder for compression over tendon insert point. FLOAM has no memory, which prohibits pressure from being displaced to bony prominences. Ideal for Medial epicondylitis (golfer's elbow) and Lateral epicondylitis (Tennis elbow). Fits forearm circumference up to 16". Available in 4 sizes. Fits left or right elbow. Indications The ProCare Tennis Elbow w/FLOAM is indicated for lateral/medial epicondylitis, bursitis, tendonitis. Goals Increase elbow activity. Localized compression. Decrease anti-inflammatory medications. Decrease pain symptoms. Improve elbow function. Increased warmth to improve circulation. The ProCare Elbow Sleeve combines the soothing warmth of neoprene without ride-up. Neoprene sleeve provides maximum warmth and comfort without roll or ride-up. Offers support and relief to elbow joint, muscles and tendons. 8.5" length. 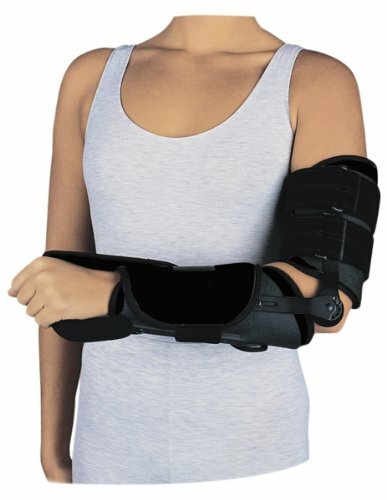 Ideal for mild support and compression of the elbow. 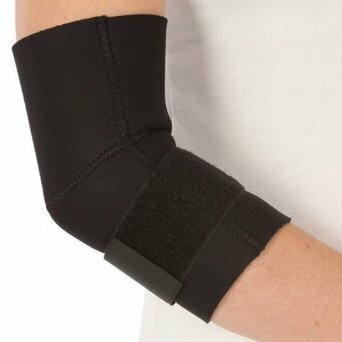 Indications The Procare Elbow Sleeve is indicated for lateral/medial epicondylitis, bursitis, tendonitis. Goals Increase elbow activity. Localized compression. Decrease anti-inflammatory medications. Decrease pain symptoms. Improve elbow function. Increased warmth to improve circulation. Reversible colors (blue & black). Provides exceptional comfort and maximum pain relief during rest and sleep. Provides comfort and pain relief while restricting painful movements during rest and sleep. Removable splint allows maximum immobilization with the stay inserted, or gentle support with the stay removed. Two adjustable straps for easy change of size and compression. Constructed with breathable foam covered with soft poly flannel for support and warmth. Latex free. 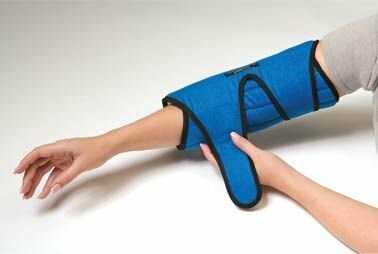 Ideal for relief of cubital tunnel syndrome, Medial epicondylitis (Golfer's elbow), Lateral epicondylitis (Tennis elbow), and other elbow conditions. Indications Ideal for relief of cubital tunnel syndrome, Medial epicondylitis (Golfer's elbow), Lateral epicondylitis (Tennis elbow), and other elbow conditions. Goals Provide elbow immobilization. Localized compression. Decrease anti-inflammatory medications. Decrease pain symptoms. Improve elbow function. Increased warmth to improve circulation. The ProCare Tennis Elbow Support combines soothing warmth of neoprene elbow sleeve with a counterforce strap that restricts full extension of muscles and tendons. Contact closure strap with D-ring provides exact fit and adjustment. 8" length. Ideal for Medial epicondylitis (golfer's elbow) and Lateral epicondylitis (Tennis elbow). 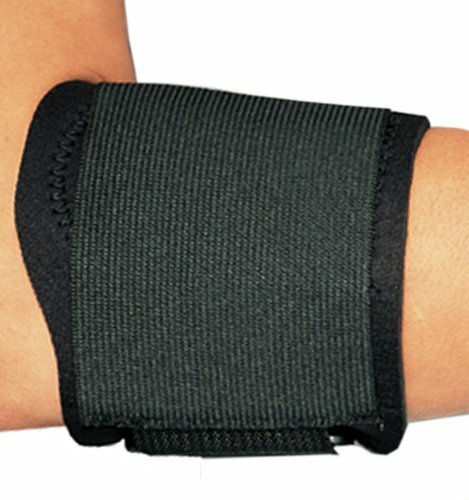 Indications The ProCare Tennis Elbow Support is indicated for lateral/medial epicondylitis, bursitis, tendonitis. Goals Increase elbow activity. Localized compression. Decrease anti-inflammatory medications. Decrease pain symptoms. Improve elbow function. Increased warmth to improve circulation. Please see alternate images above for SIZING and additional description information. --ElbowRANGER Motion Control Splint / ROM Elbow Deluxe For non-operative application, collateral ligament strains and ruptures, and ulnar nerve transposition. May be used following early cast removal to stabilize fractures, and for post-operative immobilization. Removable hand grip assists in the prevention of pronation/supination. Aluminum R.O.M. bilateral hinges allow adjustments in 30?? increments with formed Kydex shells. Universal application fits right or left arm. Part Number:Circ. Size 79-942008"" - 11.5""S79-9421011.5"" - 14.5""M79-9422014.5"" - 19""L Measurement Information:Measurement at mid-bicep. Two-inch wide nylon strap with D-ring closure to allow comfortable fit and compression to address lateral/medial epicondylitis and tendonitis. One size fits most patients. Six (6) per box. Indications The ProCare Clinic Tennis Elbow Band helps relieve symptoms of tennis elbow (epicondylitis) from racquet sports, golf and repetitive industrial activity. Goals Increase elbow activity. Localized compression. Decrease anti-inflammatory medications. Decrease pain symptoms. Improve elbow function. Increased warmth to improve circulation. Medial epicondylitis (Golfer’s elbow) and Lateral epicondylitis (Tennis elbow). 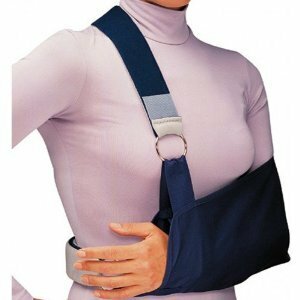 Procare shoulder immobilizer, arm sling is made for comfort and superior support. 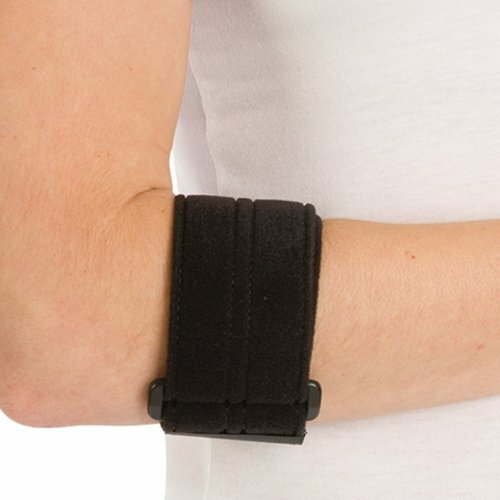 Designed to apply pressure to immobilize arm and shoulder. Sling also features removable and adjustable swathe to aid in keeping arm in place. Looking for more Procare Tennis Elbow similar ideas? Try to explore these searches: Napa Valley Olive Oil, 12w 12' Component Video, and Rave Sports Bongo Water. Shopwion.com is the smartest way for comparison shopping: compare prices from most trusted leading online stores for best Procare Tennis Elbow, Length Top Coat, Dmx Laser Controller, Procare Elbow Tennis . Don't miss this Procare Tennis Elbow today, April 23, 2019 deals, updated daily.